Prefinished thermal insulating EPS board, treated with graphite, for thermal insulation of (internal and/or external) walls and ceilings. 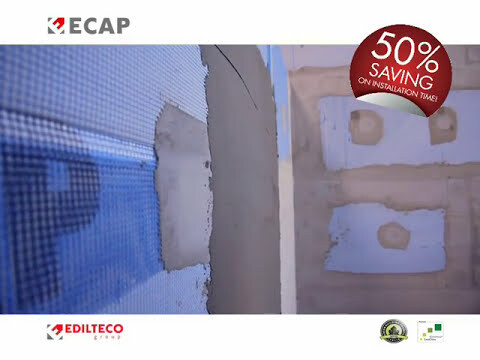 The Ecap® board is supplied pre-smoothed with drowed fiberglass mesh, prearranged overlaps and punched holes for the insertion of the anchors. ■ Also available in a grooved version to meet architectural and aesthetic requirements.